The hits just keep on coming for the struggling Boston Bruins. Earlier today, head coach Claude Julien spoke to the media updating Hamilton's status. The injury occurred in the shootout loss to the Florida Panthers on Saturday. Hamilton took a big hit in the second period, but briefly returned a short time after. However, prior to the start of the third, he was not on the bench and did not return. Although Hamilton will be evaluated in a few days, many fear that this injury is significant. Only time will tell, but until then, the Bruins will have to call upon their young defensive prospects. Zach Trotman has already played and other names like Joe Morrow, David Warsofsky and Chris Breen, have been mentioned as possible call-ups. With 10 goals and 32 assists, Hamilton is second on the team in points with 42. 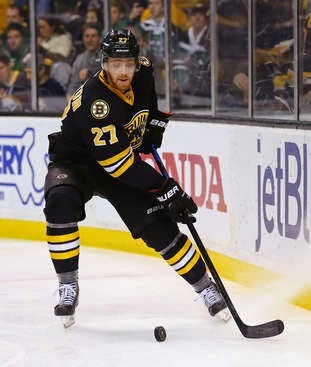 Follow Chris Kuzyk on Twitter @_KOOZ_ and follow @BruinsLife for the latest Bruins news and updates.